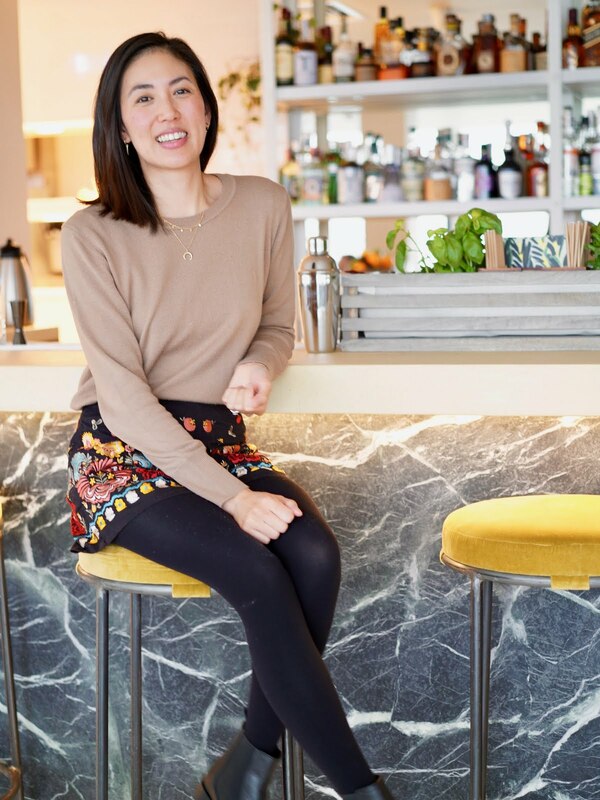 Hi guys I want to say a very big heartfelt thank you for your kind words on my last post - Why I quit my job. 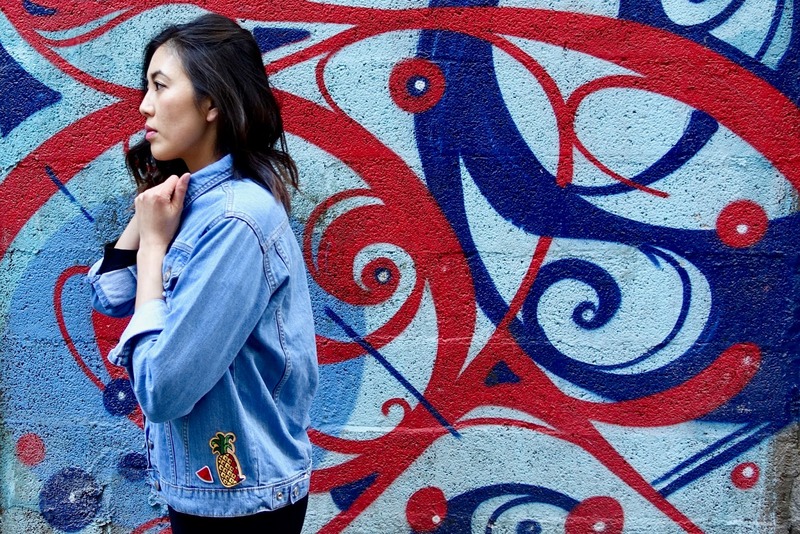 Your support really motivates and inspires me to do well and makes me really appreciate the blogging community even more :) Moving on to this post, I'm back with a fun DIY style post featuring this oversized denim boyfriend jacket from Boohoo*. 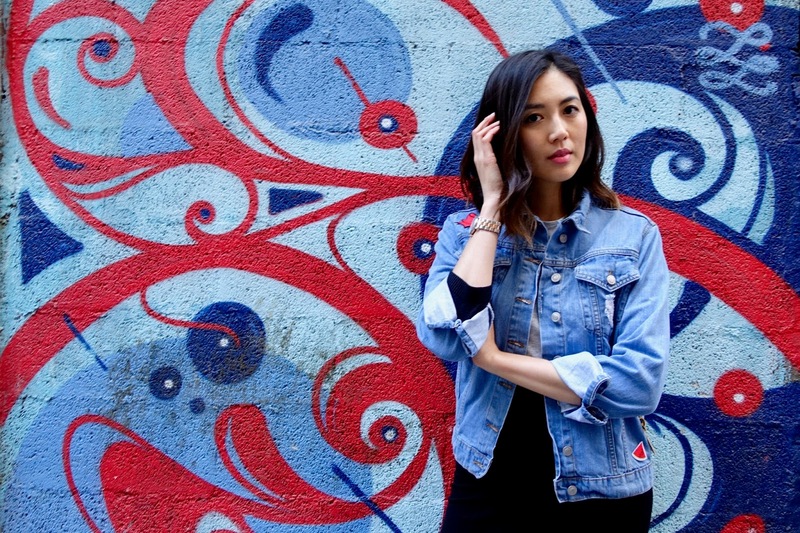 It's been years since I've wore a denim jacket but it's such a versatile piece to have in your wardrobe. Boohoo kindly sent me this fab jacket and some cute patches to create my own DIY patch jacket. 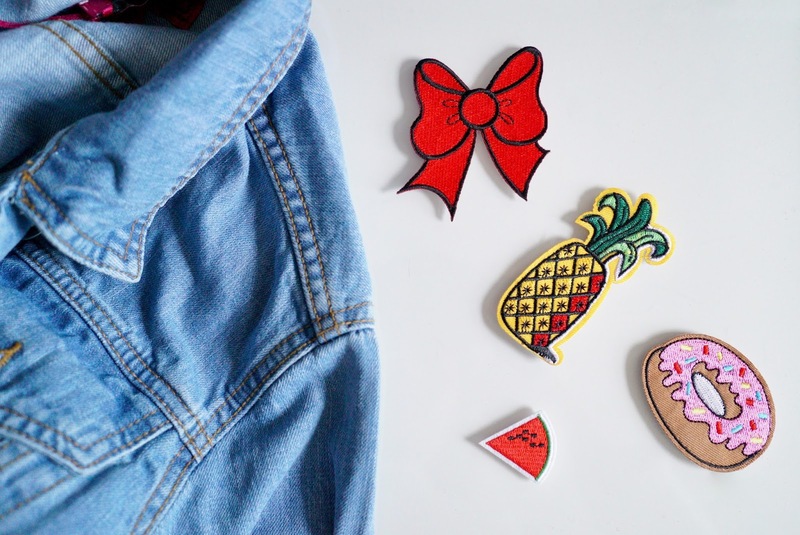 The embroidery patches are such a fun and easy way to customise any denim jacket. You can get really creative with what look and vibe you're after and even add studs, sequins or use fabric pens. You can apply the patches with an iron, sew them on or use fabric glue. Either way make sure the surface is clear and everything is properly stuck on! How cute do the patches look, I love the big red bow and added it above the top pocket to really make it stand out. I then added the pineapple and watermelon on the bottom of the jacket and I think the colours look great together. 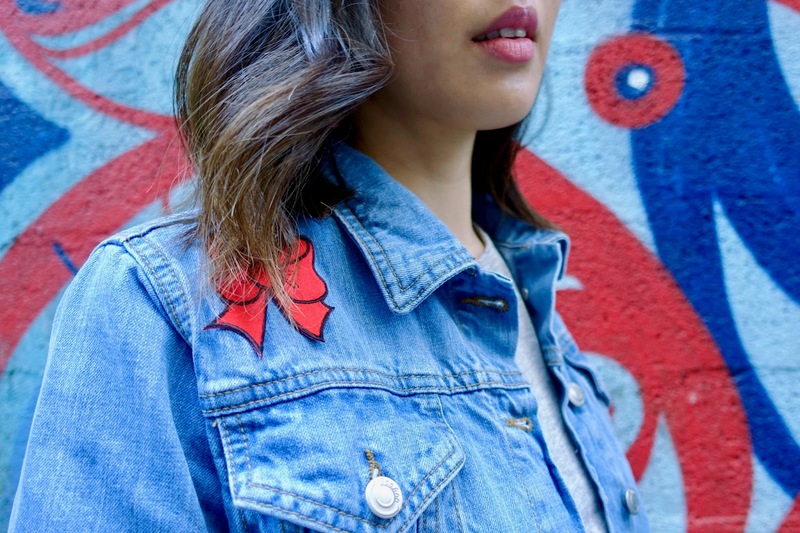 If you're feeling creative and love the look of this embroidered jacket and patch trend, there are so many cute patches you can get online such as Ebay or Etsy - the choices are endless. If I had another jacket I would add flowers on top of each pocket, for a girly look.When picking your patches, I would think of a colour scheme or style you want, cute and girly or cool and edgy. Place the patches on the jacket and see what looks good where before fixing them on. The jacket is a great fit, loose and casual, this is a great wardrobe staple and a casual alternative to a leather jacket. Boohoo have a fab collection of denim jackets and denim range and everything is super affordable - £25 for a jacket is a bargain! I think this trend is really fun way to dress up an otherwise plain outfit. If you don't fancy doing DIY, you can get a ready made embroidered jacket ;) I hope you enjoyed this style post and it has inspired you to get creative with your wardrobe! * Item gifted, all opinions are my own. 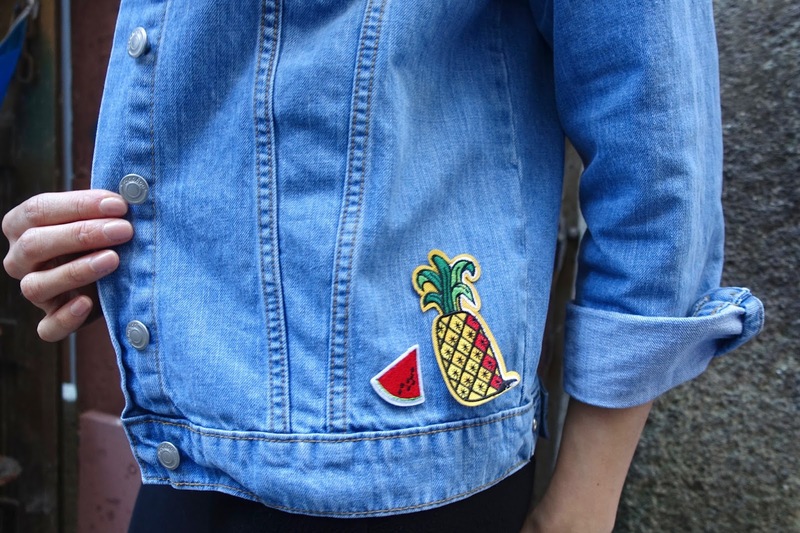 How would you customise your denim jacket?